My name is Vladimir Churun. A little bit about yourself. I was born in the old Belarusian city of Grodno, located on the banks of the Neman River near the border with Lithuania and Poland. City has its chronology from 1128 In school, it was a small regional center, received an active industrial development in the late 60's - early 70's, when they were built nitrogen fertilizer plant, the plant of cardan shafts and cotton mill. In my school days was very popular military-patriotic game "Summer lightning". 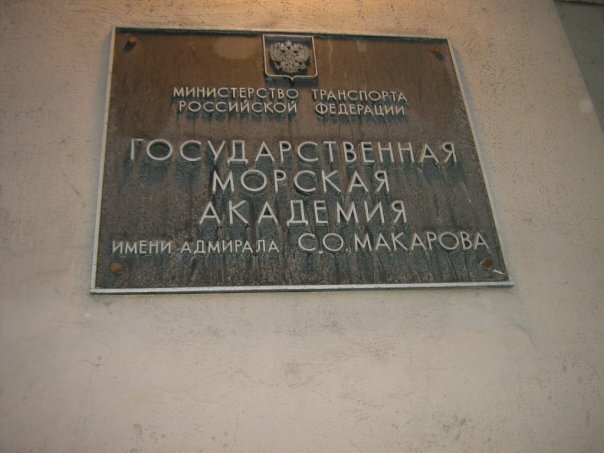 I then studied at the secondary school №17, where Pioneer was Elena Dievna Goryachev. She began to attract us to the "Summer lightning" game, set up a detachment, and due to its activity, we have to play this game, to perform at competitions of different levels, win prizes. Lesson game resulted in my trip to the All-Union Pioneer Camp "Artek", which was attended by active participants of this game from all over the country. I am very grateful to ED Goryacheva for application and assist in the piercing of the permit, without her help this would not have happened. And for me, opened a new world, the first time I saw the sea. 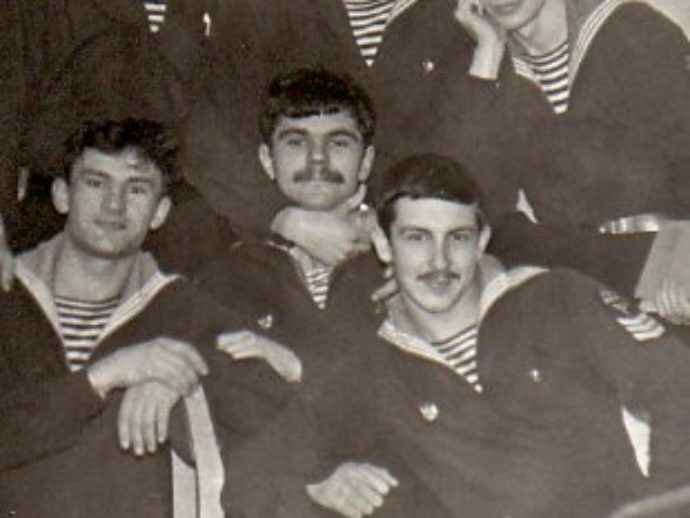 Before this trip, I was thinking on my future profession, I wanted to follow in the footsteps of his uncle, a military school, but after a trip to the Crimea, I decided to become a sailor. And after high school sent their documents to the famous "Makarovka" - Leningrad Higher Naval Engineering School. Admiral SO Makarov the specialty "Oceanology." 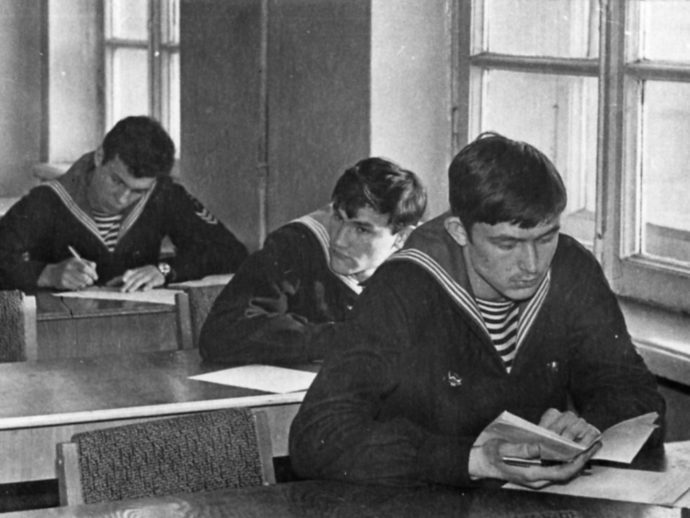 Having passed without straining the entrance exams, I was enrolled in the first year of the Arctic faculty. And started my sea life and study. I have a short story about "Makarovka", but that at some later stage. Department of Oceanology in charge of Doctor of Geographical Sciences, Professor, Honored Scientist Igor Vladislavovich Maksimov. It also worked Doctor of Geographical Sciences BA Sleptcov-Shevlevich, Doctor of Technical Sciences VA Shmatko, the candidate of geographical sciences VV Dremlyuga, Ph.D. AM Lewkowicz and all beloved YA Borovkov, we call for the eyes, of course, Injun Joe because of burn stripes on the front part of the head. 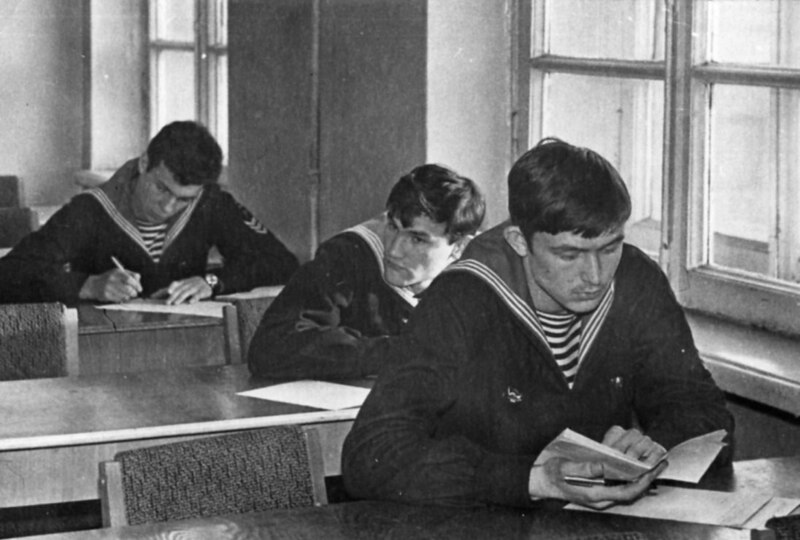 With a feeling of profound gratitude and great respect remember ES Berger, taught theoretical mechanics and hydrodynamics, MM Sokolov, teaching English, Y. Mylnikova, engaged in physical training with us, Captain 1st rank LS Shifrin, teaches naval meteorology. 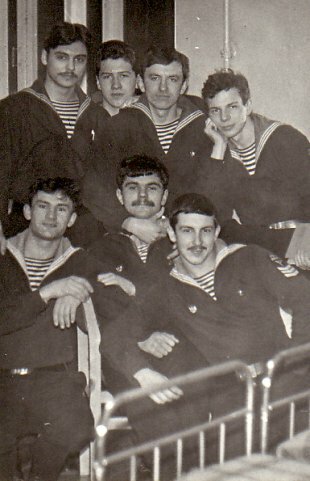 "Makarovka" was in those years, paramilitary institution, we lived in the carriage, wearing naval uniform, be on duty in the educational and residential buildings, standing in the clothes, in the morning out on the physical exercises and marching formation on the parade ground in front of the Palace of Culture. CM. Kirov on Vasilyevsky Island. Our a company commanded by Captain 3rd Rank A. Golitsyn, strict but fair commander, my friend E. Baturin dedicated a heartfelt poem. My first internship took place in the Arctic Kara Sea expedition called "Ice Patrol" on board a wooden schooner "Storm", which was led by Candidate of Physics and Mathematics. Sciences Y. Benzeman. We exhaust expedition just over three months, and I got the skills of independent work in the chosen specialty and omoryachilsya. Then there was the practice of Sakhalin Island in the town of Nevelsk, where I worked as a part of scientific prospecting party to study the impact of waves and currents in the water area of the seaport. In 1978, after college I distribute in the Arctic and Antarctic Research Institute and began my expedition and scientific life. Professional career I started in the scientific and methodological department of the Institute in preparation for the publication of hydrometeorological yearbooks on the East - Siberian and Chukchi Seas in the framework of the State Water Cadastre. The work was not very exciting, I dreamed of a large and major expeditions to the Arctic and Antarctic, I dreamed of drifting and winter. And in 1983, Valery Lukin, already at that time a well-known and experienced ekspeditsionnik, head of the drifting station "North Pole - 22, participated in many high-latitude air expedition" Sever ", unexpectedly invited me to take part in them formed a new expedition to the Kara Sea. We had to perform oceanographic survey in the Kara Sea with the help of helicopters, it was a new beginning, a new technology works, and I, without hesitation, I agreed. In the 1987- 1988 biennium. I once again under the direction of Valery Lukin worked on the drifting station "North Pole - 29". At the end of the drift ice, I went to the department of the Institute in the laboratory study of the ice regime of the Southern Ocean, which led the doctor of geographical sciences AA Romanov. And in 1989, he took part in an international expedition aboard the scientific research vessel "Akademik Fedorov" in the Weddell Sea. It was called Expedition Winter Weddel Gyre Study and was aimed at the study of the Weddell Sea polynya and the study of the physical processes and mechanisms of forming and maintaining with wormwood. He led the expedition Cand Nikolai Bagryantsev. The expedition took part and the German research icebreaker "Polarstern". And in 1992 I became a member of the first Russian-American drifting station "Waddell-1" in the Weddell Sea. After returning from Antarctica, I was actively involved in the work of the joint Russian-German project "Laptev Sea System", in which participated in numerous expeditions in the Laptev Sea, twice guiding expeditions in 1996 and 2004. In 2000, at the invitation of Dr. Sci. Professor of Science LA Timokhova I went to work at a new Russian-German Laboratory for Polar and Marine Research. Otto Schmidt (OSHL). 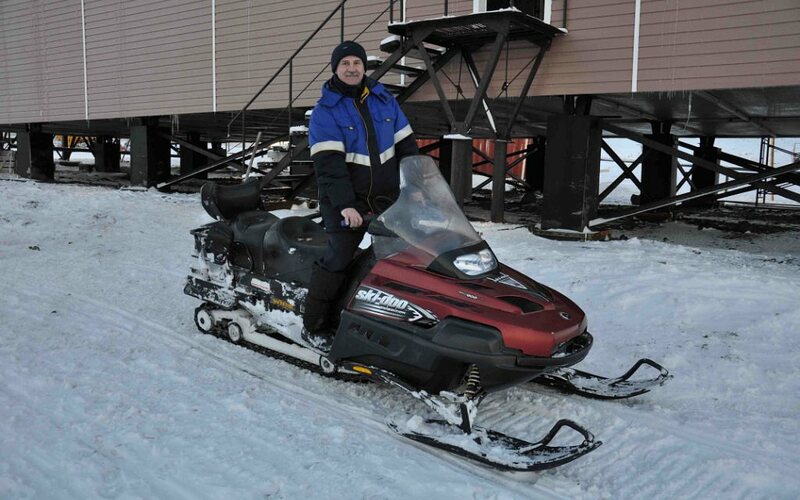 And with a short break to work on the drifting station "North Pole - 36" as a deputy. of the station for science, she worked in OSHL until 2013, when, to decide to change the polar region and to return to Antarctica. ... and it seems that you have something passed, tasted, felt, realized, realized, but every time I want to return to these difficult, harsh, not very comfortable, and try to evaluate again what you can do. In 2014 - 2015 years. 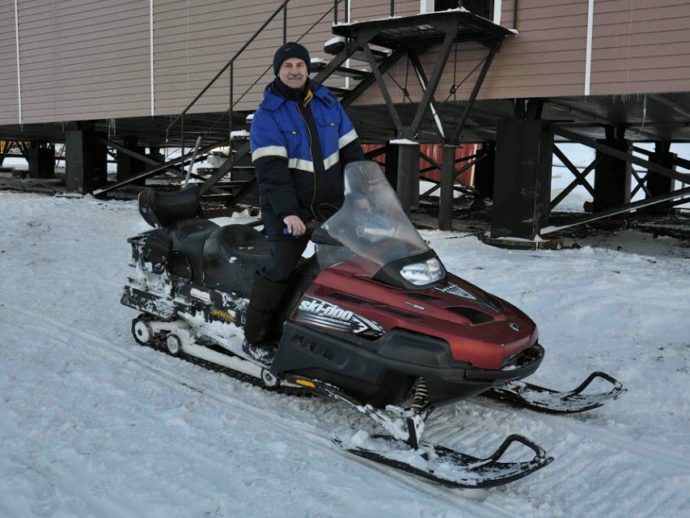 I led the work of the Antarctic Bellingshausen station, located on the island of Waterloo (King George) in the archipelago of the South Shetland Islands. Mentally tell yourself, "everything for the last time," but as soon as there is an opportunity - fill up a backpack behind and start a new journey with an unknown for you and unpredictable finale. Currently I am working at the Russian Antarctic Expedition in the position of chief specialist.